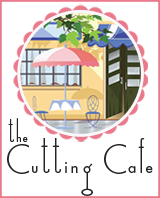 If your using a Cricut Explore to cut out our cutting files here at The Cafe most of the time the measurements will NOT import at the intended size. Included in all of our cutting files (effective August 2014) there is a sheet with the measurements on it. This handy SVG MEASUREMENT LOG SHEET is perfect to jot down the measurements for further reference when using the set again. CLICK HERE for a video on importing our files into the Cricut Explore. This sheet comes in pdf and jpeg formats. CLICK BELOW TO OBTAIN FOR FREE. COST - FREE.....This file is an instant download.